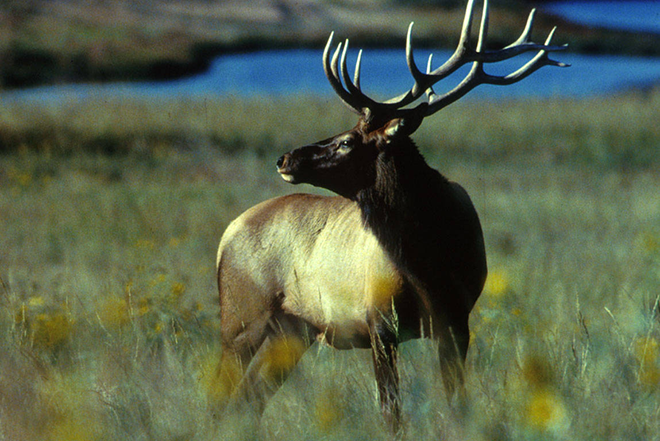 Information provided by a concerned hunter has led to a conviction and over $11,000 in fines imposed on a Front Range poacher for the illegal take of a trophy-quality 6x6 bull elk in November, 2015. When confronted by a CPW officer, Denver resident Agapito Alarid II, 42, admitted that he illegally shot the bull in Game Management Unit 2, an highly coveted unit in Northwest Colorado where it can take a hunter over 20 years to draw a license. Alarid did not have a license to hunt in the unit and a bull elk season was not open in the unit at the time he shot the animal. In Moffat County Court on Monday, Alarid agreed to plead guilty to illegal possession of the elk. The typical fine for the charge is $1,000; however, under the provisions of Colorado's 'Samson Law,' Alarid received an additional $10,000 penalty because he poached an elk with at least 6 points on one antler beam. Pending a review by a CPW Hearings Officer, he could lose his privilege to hunt and fish in Colorado and 43 other Wildlife Violator Compact states for up to five years. "Ethical hunters wait patiently for years just to qualify for the chance to hunt in a unit like this," said Assistant Area Wildlife Manager Mike Swaro of Craig. "Those that violate the law and take away an opportunity from conscientious hunters are a serious problem. We are very grateful the person who witnessed this gave us the information we needed to convict this individual." Under CPW's 'Turn In Poachers' program, the hunter that reported Alarid has earned a chance to draw a license in the same game management unit where Alarid poached the elk. Swaro says the public's assistance helps solve many wildlife crimes, as it did in this case. "Most poachers commit their crimes because they believe they can get away with it," he said. "But anyone that breaks the law should know that CPW officers get tips from concerned citizens every day, which is a great help. Even the most insignificant detail may be the information we need for a conviction, so please help us out and let us know if you think someone has committed a wildlife crime." Swaro credits the Colorado 14th Judicial District for their assistance in this case. "Alexandra Jennings with the DA's office showed great determination to protect Colorado's valuable wildlife resource," said Swaro. "Poachers steal from everyone in Colorado. The local district attorney's office understands how important it is for poachers to pay for their crimes." Under Colorado's TIP program, turning in poachers makes you eligible for a preference points, or in some cases, the reward of a license for reports of illegal take or possession or willful destruction of big game or turkey. The program is in addition to Operation Game Thief, a tip line where information about wildlife crimes can be reported anonymously with a monetary reward available if the information leads to an arrest or citation. To report a wildlife crime, call 877-265-6648, dial #OGT from a Verizon phone, or send an email to game.thief@state.co.us . Specify whether you are interested in OGT or TIP. Unlike OGT, a person providing information must be willing to testify in court under the TIP program.